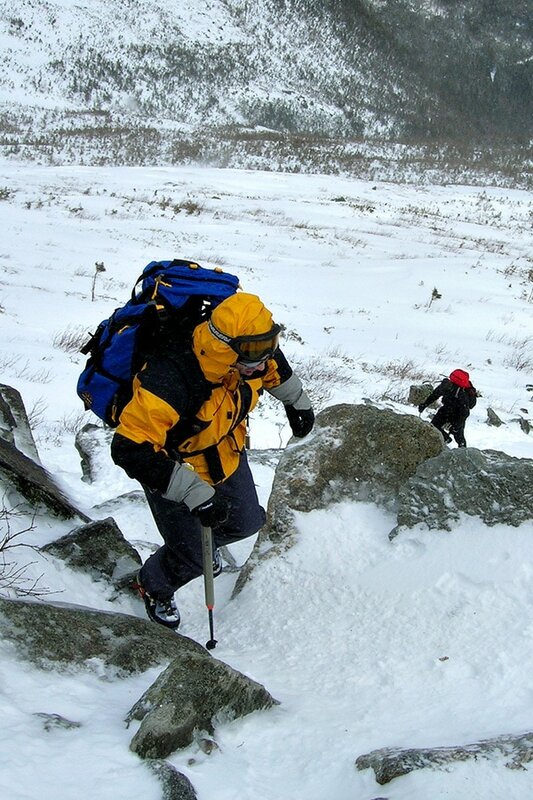 This 3 Day Basic Mountaineering Skills course will teach you how to dress for winter, how to pack, choose food, select the proper gear, campsite selection, how to cook outdoors and low impact winter camping skills. You will learn how to move efficiently in winter boots and crampons, and how to climb low to moderate angled snow and ice terrain. 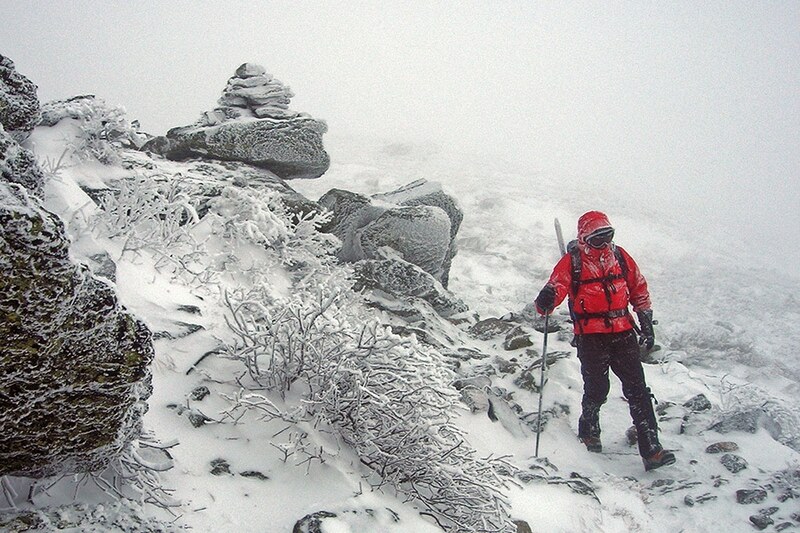 This is a comprehensive introduction to winter mountaineering skills. No previous climbing experience is required for registration but participants should be prepared for a challenging experience. The first day will be spent outdoors learning technical skills, returning to town for the evening (you will need lodging for this night). 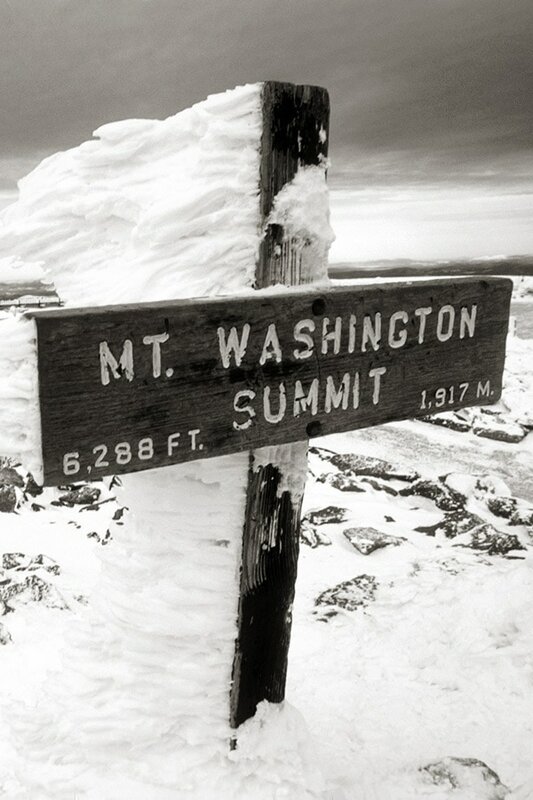 Day 2 we will meet at IMCS, sort and pack gear, decide on food and ready ourselves to head up to Mount Washington where we will set up camp, cook dinner and spend the night in anticipation of our summit attempt on the third day. Assessing weather and snow conditions are a big part of mountaineering and this course. Each day’s itinerary may be subject change due to weather and snow conditions. Our goal is to help you to become a more experienced and responsible winter mountaineer. Your safety in the mountains depends on the decisions you make. This course is a solid first step for climbers interested in climbing the greater mountain ranges of the world. The course outline is flexible and dependent upon the weather, ground conditions and abilities of the participants. This course can also be arranged privately, please contact IMCS for details.